Blog about Pet Sitting & Dog Walking | Atlanta & Decatur | Whoa Doggy! You will be opening and closing your front door to trick-or-treaters all night long. It’s recommended that you keep your pet in a secure place. You can put them in a separate room or even put up a gate that will keep them from having access to the front door. But please do be sure your pet has an ID tag on and even a microchip in case they do accidently escape. Cats should be kept indoors around the holiday as well. Unfortunately, there are people that like to play pranks with black cats in particular. It is not uncommon for these cases of animal cruelty to occur. There are even shelters and rescues that won’t adopt out black cats during this time. So, it’s best to be safe rather than sorry. Your feline companion will appreciate it. It’s time to carve that pumpkin. Your pet may be overly curious and feel the desire to examine your pumpkin guts. Chunks of pumpkin or even pumpkin seed can become lodged in your pet’s throat or an intestinal blockage can occur as well. Make sure you thoroughly clean up after yourself to ensure your furry companion doesn’t ingest anything that can harm them. Your house will be full of sweets. You need to be sure these tasty treats will be out of reach and in a location that your pet cannot get into. Your furbaby could choke on said candy or if it’s chocolate and enough of it they can die. Thus, it is vital you keep the sweets locked away for their safety. Dressing up your pet for Halloween can be fun, as long as they actually like it. Be sure their costume fits and isn’t constricting them in any way. Bandanas are always a festive alternative. What do you do with your pets during Halloween? Fall has arrived! Here in Atlanta and Decatur, we are enjoying the break in the weather, and cooler temperatures mean one thing: More time outside! So here are our top 5 things to be mindful of when you're spending more time outside with your dog. Your days are getting shorter which means it’s likely it will be dark during hours you normally take your pet on a walk. You could use a reflective leash or collar or even a reflective vest to help make your pet more visible during these hours. Your little furbaby may be more sensitive to the cooler weather. It’s as simple as purchasing a coat or even a sweater to help keep them warmer. Now that the weather is getting nicer you’re spending a lot of time soaking up the outdoors with your pet. Even though it’s cooler outside there are still fleas and ticks present. So, it is important to continue providing your pet with preventatives. Fall is a common time of year for all kinds of lawn treatments, from fertilizers to pesticides. Keep in mind that many lawn treatments are not safe for your pets, so if you’re having your yard treated be sure to familiarize yourself with the possible health hazards for your pet, and what you can do to eliminate your pet’s exposure to those chemicals. It’s already Halloween and the trick-or-treaters have come a knocking. Your pet will have many opportunities to escape with all the activity at the door. It’s a good idea to keep them secure to prevent that from happening. Also, you have to consider the candy that you’ll have in your home. You don’t want your pet ingesting anything toxic, such as chocolate. Now that you’re pet is safe and happy enjoy your Fall! What outdoor activities are you enjoying this time of year with your pet? Let us know! We all know cats love a solid routine. So, why take them out of an environment where they are the most comfortable? With a professional cat sitter, your cat can keep his routine, and minimize the stress of you going out of town. Most cats are incredibly independent and it is not uncommon for them to be left for days with an automatic feeder, litter scooper, and water fountain. However, automatic feeders and water fountains do occasionally malfunction, and water bowls can be knocked over leaving your cat with no water and possibly damage to your home.. The safety of your home is also another consideration - you can have the power go out, a pipe burst, a break in can occur not only know your cat is safe, but that your home is safe as well. Many cats do not particularly enjoy car rides! Between loading a cat into his carrier, the car ride, and dropping him off at an unfamiliar place, this can be a very stressful event for your cat!. Why stress them out when you can simply leave them home? Secondly, you will save travel time by not having to drop off and pick up your cat when boarding. Often times you can even miss the pickup deadline, forcing your cat to stay an extra night and increasing your cat care costs. Whether you decide to board your cat or just leave it home alone for a few days, your sweet feline companion is not getting the one-on-one attention is deserves. A cat sitter will focus on your fur baby in all the specific ways you want them to. Maybe they have a favorite toy they like to play with, or they simply enjoy a good brushing on their favorite chair by the window. The personalized service you will get with a professional cat sitter is something your cat will absolutely love! Yes, boarding facilities require all animals to be vaccinated. However, cats can be susceptible to illness because their immune system weakens in times of heightened stress. With so many upsides to hiring a professional cat sitter, the choice is clear for how to best care for your cat. How do you have your cat and home cared for when you go away? Let us know in the comments below! When the holidays come around, people often wonder what kinds of gifts they can get for their pets. Sure, there are lots of toys and treats to choose from, but maybe you have something a little more special in mind. One of the things we love about living in the Decatur and Atlanta area is the strong sense of community, and how eager our neighbors are to support their local businesses and communities. So why not get your pets involved in the community, too?! Here are a few ideas to help you get some locally sourced gifts for your pets. Taj MaHound – What pup wouldn’t like some all natural treats? Made right here in Decatur, their store is right in the heart of Oakhurst. Our dogs, Luke and Cody go nuts for their PeaMutt Butter treats, and with all natural, food grade ingredients, you can feel great about giving them to your pup! When holidays and special occasions come around their treats come in all kinds of fun decorations, even customizable with your pet's name! Inman Park Pet Works – This pet shop is full of fun gift ideas for your pup, and they're right in the middle of charming Inman Park. When we walk dogs past their adorable storefront, we always get some suggestive tugs on the leash asking to go inside. They have healthy treats and a variety of fun toys, as self-wash dog washing station, but maybe that's not going to be Fido's favorite gift :) Check them out! Corrina's Corner - Locally sourced, all natural raw food and treats for your dog or cat. Okay, so maybe raw food isn't what you had in mind for your favorite pet. But there are lots of health benefits. Just take a look at their Why Raw? Page for some more information, and check out their Holiday Gift Sampler. Go to a Dog Park! - Atlanta and Decatur are cities known for their green spaces, and there are lots of wonderful public dog parks to choose from. Chances are there's one right by your house. Our dogs' favorite is Adair Park in Decatur because of its large trees for shade, and wonderful community! Lets face it, for a dog, one of the best gifts you can give is the gift of activity. So get out there and watch your dog have the time of his life! What did we miss? Leave a comment below and share your favorite local dog spots and gift ideas! Many times when we get an inquiry from a new client, we are asked about cat boarding services. We don't offer cat boarding, but instead offer Cat Sitting in our clients' homes. Let's talk a little about the differences between cat boarding and cat sitting. Cicily enjoying the comfort of her own home during a Whoa Doggy! Cat Sitting visit. Limited pickup and drop-off times, which may not coincide with your travel plans. This can often require your cat to stay an extra night. Many cat boarding facilities keep your cat in a cage or kennel for a significant portion of the day. Sounds and smells of other cats can add to your cat's stress level. Not all boarding facilities have significant interaction with every cat. Abruptly leaving the comforts of home and going to a foreign place can put many cats into a state of panic. Your cat is comfortable in her own home, with all the familiar sights and smells. Your cat's diet and medication schedule is adhered to. Quality one-on-one playtime, cuddling, brushing. Monitoring of the litter box for regular use. Ease of scheduling around your travel, as there are no arrangements to be made for dropping off or picking up your cat before and after your trip. Come home to a happy, purring cat! We offer Cat Sitting services in different durations ranging from visits of 20 Minutes all the way up to 45 Minutes. We can visit up to three times per day while you're away, and we cater each visit to your cat's needs. We take care of your home while you are on vacation or traveling for work, and we also do daily litter box maintenance. You'll receive a picture message with every visit, too! If you have questions about Cat Sitting or Cat Boarding, we'd be happy to talk about it with you. Please Contact Us to discuss your cat's needs and to see how we can help you! 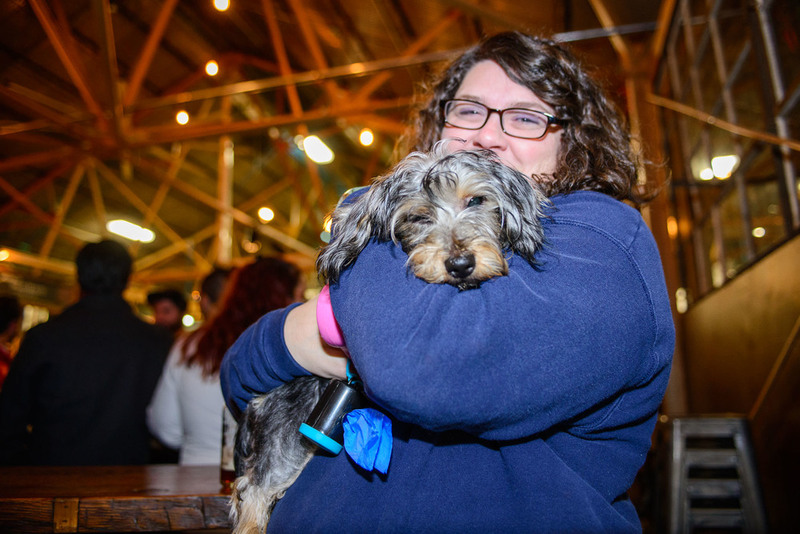 Dogs and humans enjoying the craft beer scene! When Wild Heaven Craft Beers approached me about teaming up with them for their weekly Pups & Pints event I just couldn't resist. 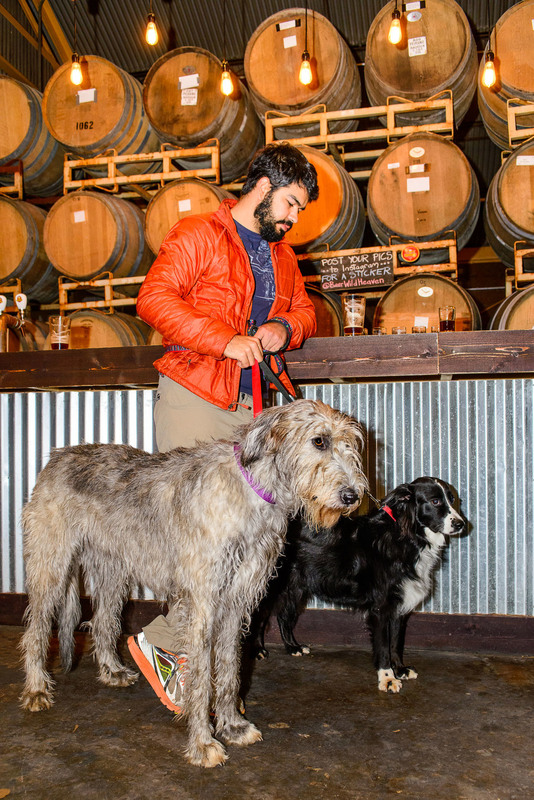 It's a dog friendly brewery tour that happens every Thursday from 5:30-8:30pm. The combination of delicious, local craft beer and playtime for my pup, Cody, was too good to pass up. It's a fun event where you and your dog can mingle with other locals. Although the event is dog friendly, you don't have to bring a dog to attend. It's just a nice, welcoming space to hang out and mingle. Getting your dog in on the action is just a nice perk! Cody really seemed to enjoy it. 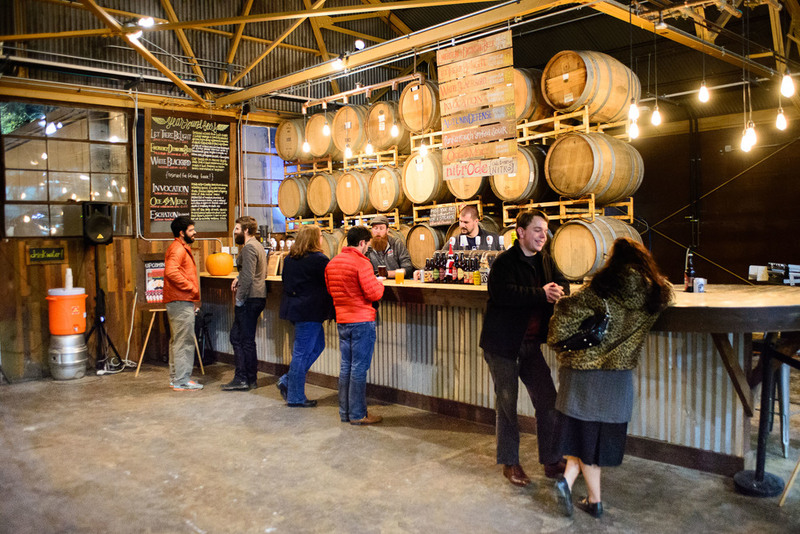 Wild Heaven's beer selection covers a wide range and they have something for everyone. Even your dog gets to enjoy some yummy goodies. One of Wild Heaven's reps prepared healthy dog treats made from the spent grains from their beer! There are water bowls to make your pup comfy, too. There's outdoor access as well as plenty of seating inside and outside. 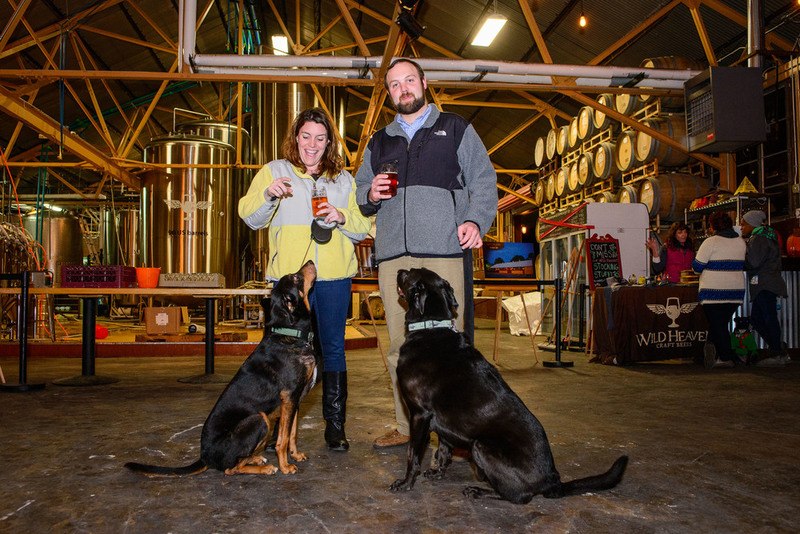 If you're looking for something new to do for a local happy hour, and you would like to try including your dog in the fun, you might want to check out Wild Heaven's Pups & Pints. I know Cody and I will be returning! 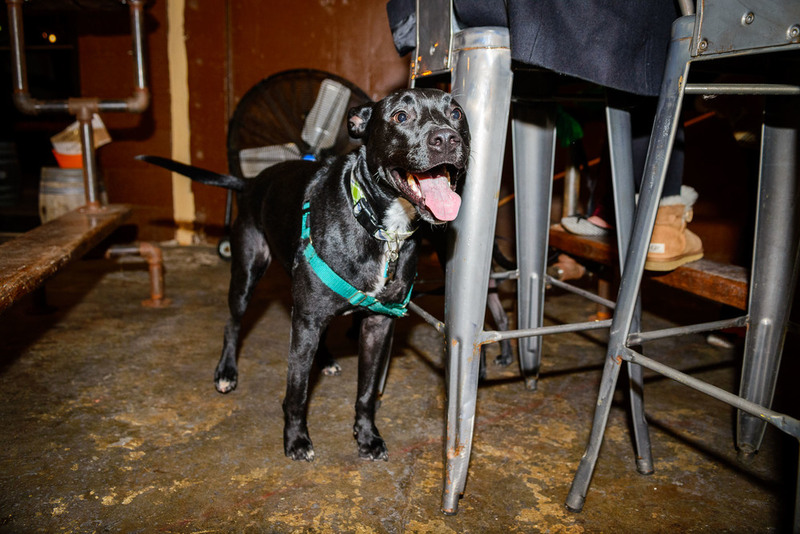 Come to Pups & Pints on a Thursday night and mention Whoa Doggy! to receive $2 off your admission. Hope to see you there! Mention Whoa Doggy! and get $2 off your admission! What other dog friendly events do you attend around Decatur and Atlanta? People ask us all the time about the cost of our Pet Sitting Services. We understand that cost is a very important consideration when hiring a Professional Pet Sitter, and you might be wondering how a professional pet sitter arrives at his costs, or why different pet sitters have different costs. Pet Sitting costs can vary a great deal, which is why it's important to understand where those different costs come from. Truly, there are a lot of variables! Let's take a little sneak peek into some of the factors that contribute to the cost of pet sitting. Insurance: A professional pet sitter has a good insurance policy in place. Pet Sitting insurance not only covers your pet sitter, but also covers you and your home! If you're not sure if your pet sitter has insurance, you should ask! A pet sitter without insurance might have less expensive services, but those savings could cost you big in the long run. Gas: Pet sitters drive around from one appointment to the next, and as such have fuel costs associated with their travel between appointments. Because pet sitters rely on their cars to do their job, they also have increased maintenance costs to keep their cars in reliable condition. Software: Pet Sitting Software??? Yes, that's right. Does your pet sitter offer a slick web-based scheduling system where you can book your appointments online 24/7? Do they accept credit cards for payment? These items offer a pet sitter's clients a lot of convenience and help create a very easy, practical solution for your pet sitting needs, but they also can contribute to the cost of pet sitting. Training: In order to care for your pets while you're away, a pet sitter should be trained in various aspects of their jobs. Things like pet first aid classes, or pet CPR classes and certification all have their benefits, but those benefits will often contribute to the cost of pet sitting. Business practices: Is your pet sitter licensed with the city, and does he pay taxes? Does he have a CPA? A professional pet sitter is on top of these matters, and pays state, local, and federal taxes, as well as the help of a CPA to stay in compliance and up to date. Not the most attractive of costs for a pet sitter, but they are very real. Want to learn more about to costs of Whoa Doggy's Pet Sitting Services, just check out our Pet Sitting Services page and our Cat Sitting Services page and if you have questions or want to schedule your Meet & Greet, just give us a call at (404) 941-4646 or Contact Us by email! Finding the Best Pet Sitter in Atlanta to care for your pets when you're away doesn't have to be difficult. Let us help you find the best fit for you and your pets! So you live in Atlanta and you find yourself needing a Pet Sitter. There are certainly a lot of options! There's a lot of benefit to having choices, but sometimes too many choices can seem overwhelming. There's so much to consider when choosing the Best Pet Sitter for you and your pet. Although we serve many happy clients every day, we know we aren't always going to be the best fit for everyone. Your pets should always come first when selecting a service, and when Whoa Doggy! isn't the best choice for you, we like to have other pet sitting companies that we can recommend. Critter Sitters: "Critter Sitters provides caring, responsible pet sitting for the owners of much loved dogs, cats, and other pets. We give love and companionship while you’re away." Laughing Pets Atlanta: "Our mission is to love and care for your pets when you aren’t able to be there. Laughing Pets Atlanta will give you the peace of mind that you need while you are away. Keeping your pets happy, healthy and safe is paramount; all service is customized to fit specific needs of you and your pets. We are committed to maintaining a professional demeanor at all times, except when we are with your pets." Diogi: "Our mission is to sustain the well-being and happiness of Atlanta’s pets while their humans are at work and play by providing personalized pet sitting and dog walking services as well as custom dog training programs created by our dog trainer, Emily Parker, CPDT-KA. Our team is dedicated to always putting your pet first. As pet parents ourselves, we understand how difficult it can be to leave your furry, feathered or scaly baby in the hands of someone else." Cutie Paws: "A locally owned and operated Atlanta pet sitting service with lots of love to offer, we are all about your pets! Dogs, cats, rabbits, birds, fish…we love all that is furry, feathery and scaly. We completely recognize that your pets are your children, and in our own way, we take care of you the parent as well! We understand how important the connection is between you and your pet, and we do our very best to alleviate any anxiety that you may have while you are away by maintaining your pets routine as best as possible." Frogs to Dogs: "Our mission is to always provide you and your pet family with exemplary services. We pride ourselves on gaining the applause of each client and the wag of each tail." Which Pet Sitter is right for you? How can we help you find a pet sitter? We have a wonderful team of highly trained, professional pet sitters! If you'd like to meet us to see if we are a good fit for you and your pet, just let us know!